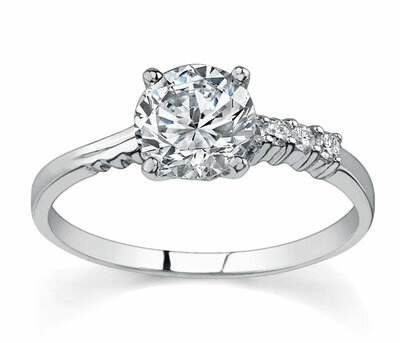 This unique engagement ring features four brilliant round cut diamonds to one side of the sparkling center diamond. Available is a matching wedding band, just as you and your special someone are a perfect match. Sure to be a treasured wedding set for many years to come!